It's May, and May means Ehlers Danlos awareness month. I like to write about living with EDS from various perspectives about this time, previously on my dance blog, but this year it feels right to do it here. I have Ehlers Danlos type 3 (hypermobility type) and I've also recently been informed that I have Fibromyalgia, which made a lot of things make a lot more sense. Exercise and movement have always been deeply intertwined with my experience living with EDS, from the restrictions the condition imposed as it began to take hold, trying to ignore it and "be normal" as a school-age athlete and university martial artist, injuring myself through bad management, giving up and being inactive for a while, discovering relief through activity in the form of dance, discovering types of conditioning that helped and finally becoming a personal trainer, in part to help people like me find health, balance and peace in their bodies but also discovering more demanding, high intensity training that was accessible to me. 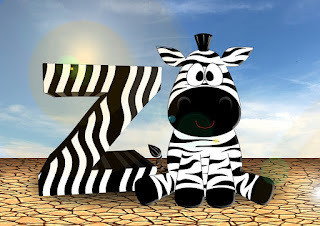 The zebra is the mascot of those with EDS, in homage to the medical adage "if you hear hoofbeats expect horses not zebras". As "zebras" (having a rare condition) it often takes us a while to get a diagnosis. I want to write about how the right approach to health and fitness has helped me manage my conditions and overcome many of the obstacles they put in my way. It's a combination of hard work and bloody mindedness and I am always inspired when I talk to other Zebra athletes who are on their journey to living their own, best life in their bendy bodies. What is living with EDS like? But first I'm going to explain a little about my condition. I don't really like "focusing on the negative", but I think it's important to make it clear what people with EDS are working to overcome. I am fitter and stronger than your average person, but that doesn't mean that EDS is a minor affliction, or that I'm really "OK". 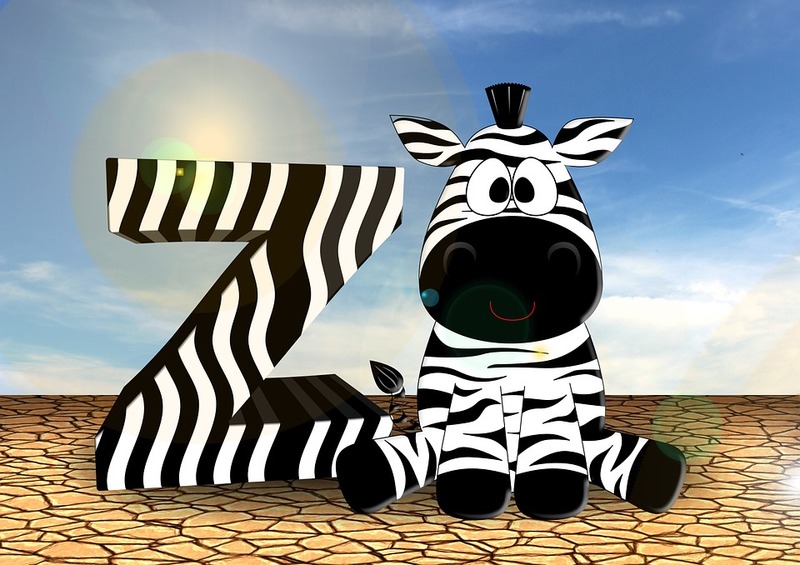 EDS is an invisible condition and most of us Zebras are hiding in plain sight. I'm working very hard to manage a bunch of difficult symptoms, day in, day out. EDS is a genetic issue, which means there is a typo somewhere in the gene that tells my body how to make collagen, an important constituent of connective tissues, like ligaments, tendons, skin and fascia. One of the key diagnostic criteria for EDS is joint hypermobility, although many of us lose joint mobility as we get older - a consequence of injury and arthritis. Being bendy alone isn't a problem, the problem is that mobile joints tend to be unstable. It is very common for people with EDS to regularly sprain or dislocate at multiple joint locations. Weakness can also affect function, for instance before I started strength training I used to regularly fall down the stairs because my knees gave way. I tend to sprain my wrists, ankles, knees and fingers. I subluxate (a partial dislocation that finds its way back) at the shoulder, hip, kneecap and jaw. These injuries cause damage to the tissue surrounding the joint. They also make some really unnerving noises. I also get stiffness in my joints, which doesn't make much sense, but I do. I sit still for a bit and when I get up I'm walking like a decrepit T Rex until my joints warm up again. I've started making dinosaur roaring noises to make a feature of it. I have pain in pretty much all my joints, all the time. It is my normal. They don't have to be injured to hurt, they just do. There's no way to relieve this. Chronic pain of this type is resistant to most analgesics (and people with EDS are also extra resistant to analgesics, including local anaesthesia). I also have pain in non-joint locations. The muscle surrounding my spine is always very tender, and pressing it often feels like touching a bruise. I'm told this (along with the extra pain in my hands) is fibromyalgia, it could also be (or have been triggered by) the extra work my core spine musculature has to do to maintain my posture while the ligaments don't do the job correctly. Then there is stuff like costochondritis, intense crushing chest pain caused by instability between my ribs and sternum. I've been reading The Pain Chronicles, a really good book on chronic pain, which describes it as being like a faulty alarm. It's like a burgular alarm that goes off when a cat goes past, or maybe it's stuck on all the time, long after the initial trigger. My nervous system is in a constant state of crisis. There's a lot of explanations about why EDS makes us tired. The extra work we need to do to stabilise our joints, the brainpower to manage proprioception when our natural range of movement in unhealthily excessive, and the extra synergistic muscle work means that movement takes a lot out of us. Sleep issues are also a problem. When I lie on my side at night, the weight of my top leg gradually pulls my hip out of joint, it's not comfortable. If my arm is in the wrong place my shoulder comes out, if my spine isn't aligned right then everything goes wrong. My sleep quality is poor. I wake up tired every single day, no matter how long I slept. Fibromyalgia is believed to have some effect on the metabolism, it's not well understood but there seems to be clear issues with the processing of fuel by the cells. I get worn out very easily. If I have had a busy day it feels like my body weighs more and more as time goes on. If I don't rest enough I crash, my pain levels skyrocket, I have trouble moving around and get intense migraines. The combination of pain and fatigue can be very demoralising. It's hard to get stuff done and it's frustrating to not be able to do the things you want to, or have to (like keeping on top of work and family responsibilities). This leads to stress and anxiety which.... guess what? Feeds back into the overall stress on the system causing more pain and fatigue. Collagen is like the glue that holds our bodies together. I'm sure we've all tried to fix or make something and not had the right kind of glue to hand. That's my body! Pretty much every system in my body is knocked slightly out because of this. My skin is delicate and bruises at nothing, my gums bleed, my digestive system is "delicate", my blood pressure doesn't regulate properly because my veins are too stretchy, my eyesight is affected. I'm pretty lucky because these are all niggles for me, but some people with EDS have major issues with stuff like IBS, prolapses, POTS and all sorts of delightful things. So that's a pity party if ever I saw one, but I'm not looking for sympathy, I just want to make it super clear that when you see an EDS athlete throwing a barbell over their head, or finishing that triathlon, it's not because they "aren't that sick", they are a superhero overcoming ridiculous odds to do something amazing. How does fitness help the symptoms of Ehlers Danlos syndrome? It might seem a bit out of sync to suggest that someone who is exhausted, in constant pain and injuring themselves on the regular should do more exercise. In fact it wasn't until very recently that any of my health care professionals suggested it might be a good thing to do anything other than basic physio exercises (and by that point, I had already figured it out myself). So let's break it down and explain why it works. Walking is the entry point for a new exerciser with EDS. Regular daily exercise has all kind of general benefits, and if you aren't doing it, you won't get those benefits and you feel rubbish. You don't have to walk fast, or up steep hills, you just need to walk for at least 10 minutes at a time for 30 minutes a day. For people with joint instability, walking on a flat surface allows us to build safe movement patterns into our bodies (this is also something that stuff like yoga can be great for) and gently build strength around the joints. Those stronger muscles keep the joints more stable, reducing the incidence of injury. Walking is also a mild cardio exercise, which will start improving your cells' ability to release energy from fuel. I still walk every day, for at least half an hour. It's a habit that means I can do something active even on a rest day. One of the first suggested therapies for chronic pain, and particularly fibromyalgia pain is daily aerobic exercise. The problem is that this can be hard to instigate when you have long since stopped exercise due to pain and fatigue. Aerobic exercise releases beta endorphins that provide short term relief from chronic pain in the aftermath. It took me a long while to realise why I felt so amazingly good after doing a hard run or HIIT session. Post exercise high doesn't cut it. Then one day it struck me. I wasn't in pain. For maybe an hour or 2 after an intense cardio session all my pain goes. It might not seem like a lot, but that brief respite is magic when there is no other relief available. Aerobic training improves the body's energy systems. Your muscle cells gain more mitochondria, and adjust to be able to put out more energy, countering the deficit that seems to come with fibromyalgia. Getting to the point of being able to participate in this kind of exercise can be a long journey for someone who is detrained and facing physical challenges, but it's worth it. You don't need to do a lot. A few rounds of high-effort Tabata training will do it. In my teens I was given dull physio exercises to strengthen my joints. I didn't do them because they were boring. You know what's not boring? Powerlifting. Kettlebells. Crossfit. Training to get my first pull up. Before that though there was pilates and yoga - it's a gradual process with slow progress, but strength training improves the muscles and the connective tissue. The difference it has made in my everyday efficacy is amazing and part of what inspired me to create the Functional as F**k programme. It actually turns out that it's more important that we train and train regularly. As long as we pace ourselves, use good form and recover properly. Which brings me right back to the Free Living Fitness ethos, it's important to do the activities you love, the exercise you do will always be more valuable than the exercise you think you should be doing, but don't. Sometimes training is hard. Well, it's always hard because if it's not, it's not training, but sometimes it is extra hard. Sometimes it leaves me feeling a bit more sore, but there's a certain sense of control that comes from experiencing pain by choice, in pursuit of a personal goal. It's sometimes called telos centralising pain for the psychology geeks - a pain that brings us closer to our idea of "self" as opposed to that which makes us feel less like ourselves. What I've found is more important is how I schedule and programme my training to work with my physical limitations. I plan my days to involve a mixture of physical and mental tasks. Working out intensely lets me shut my brain down and be present in my body, reducing my stress levels. Mental tasks let me sit down and recover physically. It allows me to be highly productive without burning out. If I've had a demanding day, I know I need to follow it with a lighter day. Pacing is the most important skill I've learned. I'm lucky that I am able to be self-employed, and manage my hours appropriately for my needs. Nutrition also makes a huge difference. I take about 30% of my calories as protein, if I drop below 20% I will feel worse the following day. I also struggle on a low carb diet, that just doesn't work for me. Large caloric deficits are out too. Precision Nutrition have a brilliant article on Fibromyalgia which covers a number of useful strategies. It's well worth a read. Over the last 20 (!) years I've gradually figured out what it takes for me to be able to live relatively comfortably with EDS. Learning to pace myself, manage stress, eat well and train right have made a huge difference. but it's a lifelong commitment - when I slip up, I feel it. I know what being inactive felt like for me. I needed walking aids, joint braces, and still fell over all the time. I'm not prepared to go back there if I can possibly help it. 2 years ago I couldn't run, I couldn't land a jump squat. Now I can run, I can run 1.5 miles in under 13 minutes, which is apparently "excellent". I can do box jumps. I never believed that was possible, it's taken a lot of work and patience. I'm really glad to have recently met a whole bunch of fellow active Zebras, who are all living their own kind of fitness, in a way that works for them. I know that whenever an article about a fit person with EDS turns up, there will be many who will respond with "that's great for them, but I'm not able to do that". My answer to this is, find your own fitness. Take baby steps. Do whatever you can, whatever makes you feel better in your skin. Take it slow but stick with it. You can't cure EDS, but you can have a better quality of life. Take a look at this lovely, inspiring video. If you are diagnosed with EDS or Fibromyalgia, your first stop should be to talk with a specialist physiotherapist and/or occupational therapist to help you find appropriate ways to build activity into your life while pacing yourself appropriately. If you wish to continue working progressively on your fitness and overall health, for well being (as opposed to treatment) a personal trainer with the right skillset can programme you a suitably paced fitness plan. I offer online PT and programming, as well as in-person training.